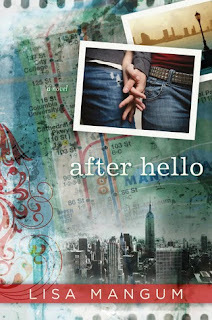 I loved AFTER HELLO. It was quirky, sweet, thought provoking. I loved the dynamic between the 2 main characters. I loved that Sara sees New York City in a way I've never looked at it (not that I've been there a lot). I loved the 2 different points of view, but one in first person, the other in third person. I loved the adventure, the quest these 2 characters went on. I loved the sweetness and kindness between these two. And I loved the message of holding on to memories that are important and letting go of ones that need to be set free so they don't hurt us anymore. Thanks for posting the review. This was one of my favorites last year!